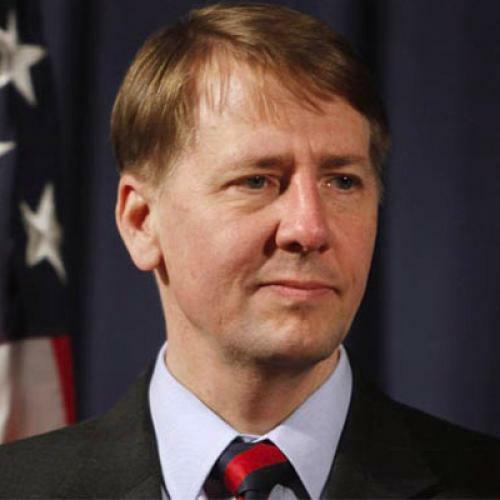 As someone who strongly supported a recess appointment for Richard Cordray to run the Consumer Financial Protection Bureau, I'm confused as to why President Obama chose to act today. By appointing Cordray today, Obama can keep him at CFPB through 2013. The trouble is that the Senate isn't in recess. For complicated reasons the Republicans have the ability to prevent the Senate from going into recess, and they have done so in order to maximize the difficulty of Obama making recess appointments. The White House maintains that keeping the Senate in pro forma session is a stupid gimmick, which is certainly true. It further maintains that because it is a stupid gimmick, that gives the president the right to act as though the Senate were in recess. That's the part I have trouble following. The trouble with this definition is that it would define as a Senate recess just about every weekend of the year. Maybe there's a stronger legal foundation to the president's decision that I don't know about. But based on what I've seen so far, I'm having trouble understanding how the recess appointment of Cordray can possibly withstand a legal challenge. Something else I'm having trouble understanding is why, if Obama was going to cast caution to the wind, he didn't appoint Elizabeth Warren to head CFPB last year. Perhaps he decided she'd be of more use to him as a strong Senate candidate in Massachusetts. Cordray is a good choice, but Warren was a better one. My fear is that, having beat the Republicans on the payroll tax issue, Obama is now looking for another fight. But--again, based on my limited knowledge thus far--this fight looks like an unnecessary one. I hope Obama hasn't traded his previous vice of timidity for a new vice of recklessness. Update: 3:25: Brian Beutler of Talking Points Memo, who's done an excellent job reporting on all this, cites a newer CRS report issued in December. But I'm at a loss to find any legal justification for Obama's action in this report either. Nor am I reassured by this issue brief by Ian Millhiser of Think Progress. Millhiser makes a strong case that the level of Senate obstruction at present is unprecedented. But he makes no case at all for why the president should get to decide when the Senate is in recess and when it isn't. I'm beginning to think that if there were a more solid justification for Obama's action someone would have made it by now. Update, 3:45: Beutler reports that Obama has added three recess appointments to the National Labor Relations Board. Par-tay! To be clear: I favor a bolder stance by our president to counter Republican obstruction. But I just don't see how these appointments can be legal. Update, 5:35: Sarah Binder, a political scientist at George Washington University, has the most reasoned defense of the recess appointments that I've seen. But the 2004 appellate decision she cites, Evans v. Stephens, wasn't about whether the president got to decide when the Senate was in recess. It was about whether the president was allowed to make a recess appointment during an "intrasession" Senate recess as opposed to an "intersession" recess. The court said he could. But the Senate isn't in an intrasession recess. It isn't in recess at all--not according to the Senate, anyway. And in Evans v. Stephens the court was able to point out that 12 presidents had previously made "more than 285 intercession recess appointments." Today's appointments, by contrast, appear to be the first recess appointments ever made when the Senate was technically in session. For procedural reasons that I don't understand, the Supreme Court denied cert, though Justice Stephens emphasized it wasn't on the merits of the case. Something tells me it won't deny cert this time. Update, Jan. 5: One problem with the Bush-era Justice department officials's argument that Cordray's appointment is legal is that it relies, in addition to the 1905 Senate judiciary committee report cited above, on a 1921 opinion issued by Attorney General Harry Daugherty. Daugherty was a member of President Harding's "Ohio gang" and resigned under an ethical cloud involving alleged kickbacks from bootleggers and other colorful varieties of graft. (Apparently he figures in a subplot of HBO's Boardwalk Empire.) That is not, however, the problem. The problem is that although Daugherty broadened the definition of the term "recess," he also affirmed (according to this--yes, a third!--CRS report) that he didn't envision a recess lasting three days: "[A]n adjournment for five or even 10 days [cannot] be said to constitute the recess intended by the Constitution." Daugherty's caveat is also cited in this 1992 memo issued under Attorney General William P. Barr. Update, Jan. 6: Akhil Amar of Yale Law School and I have a piece up today proposing a possible way out of this mess.